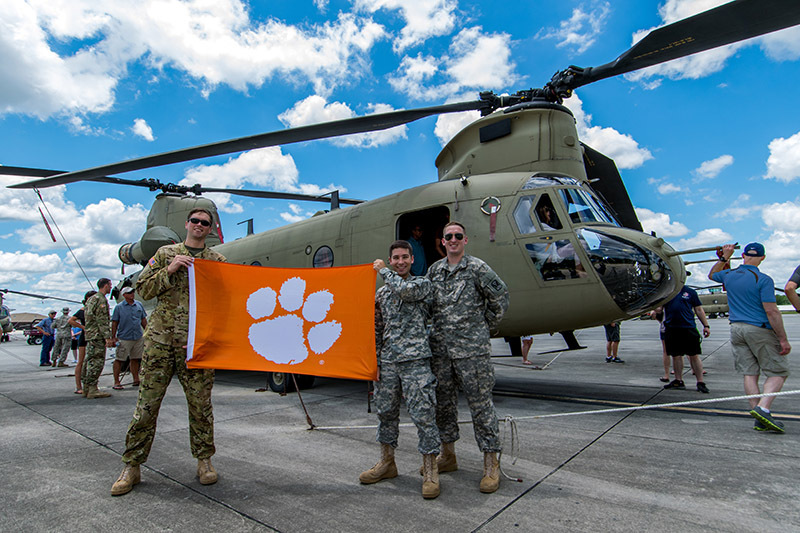 Tigers of all military branches — active duty and retired — gathered with their Tiger Rags at a tailgate during Military Appreciation weekend. From left to right, David Allen, petty officer 3rd class (retired); Joey Pace, sergeant major (retired); Michelle Noel, colonel (retired); Rebecca L. Stratford ’10, captain; William J. Stratford ’09, first lieutenant; William Matheny Jr. ’00, lieutenant colonel; and Stephen Noel ’03, major. Penny Lawrimore Phillips ’92 celebrated her 50th Birthday with a helicopter ride over the Grand Canyon, horseback riding in Sedona, and visiting Scottsdale and Flagstaff. 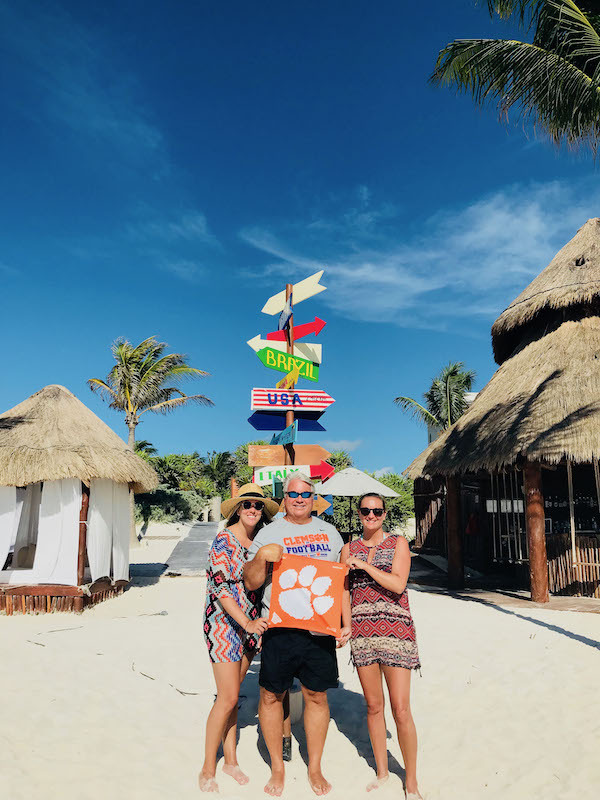 She carried her Tiger Rag all over Arizona. Chris Munns ’95 traveled to Beijing, showing off some Tiger pride at the Great Wall of China. 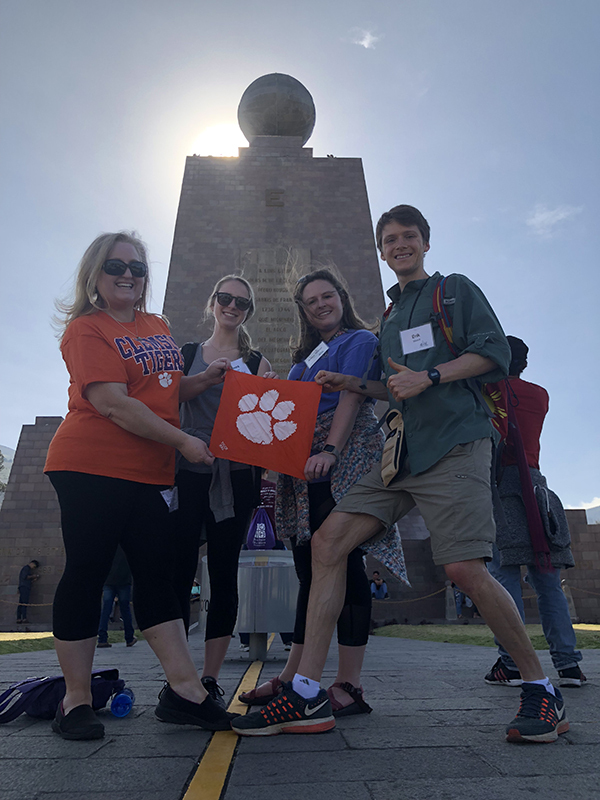 Catherine Myrick ’91, Jenna Benson ’19, Anne Miller Adams Harper ’15 and Erik Wendt ’17 visited Ecuador while on a dental mission trip in March. This photo was taken at the equator! Robert Bussmann ’16, Michael Dolan ’15 and Matt Koch ’15, all second lieutenants, in Fort Rucker, Ala., celebrating Dolan’s graduation from the U.S. Army’s flight school where he learned to fly the CH-47F Chinook, a heavy-lift cargo helicopter. Traveled to Iceland July 2015. First stop: The Blue Lagoon!